Medication-assisted treatment, such as methadone therapy, is effective and saves money and reduces crime, studies have shown. Plenty of research has concluded that medication-assisted treatment is the most effective way to help those suffering from substance use disorder to reclaim their lives. Recent research pulled together by The New York Times shows that the benefits go well beyond the person in treatment to save taxpayers money, reduce crime and improve communities. 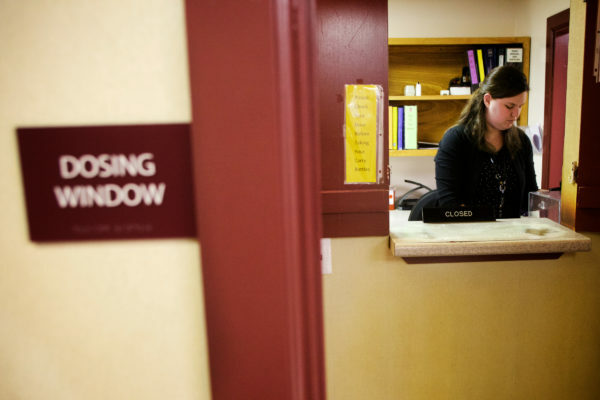 In Maine, like other states dealing with the deadly addiction crisis, there is often a debate among policymakers over the best approach to the problem. Many, including Gov. Paul LePage, prioritize more funding for law enforcement, hoping a larger police force will stop the flow of drugs. Others, often Democrats, want more state and federal funding for treatment, believing that helping ease people’s addictions will improve their lives. The societal savings come from reduced health care costs, reductions in crime and increased productivity when those in treatment return to the workforce. Researchers at Emory University calculated that increased spending for treatment of substance abuse disorder, or SUD, was more effective in terms of crime reduction than enforcement. “As an alternative to enforcement, SUD treatment is better able to reduce substance use at much lower cost, therefore more effectively and cost-effectively reducing crime,” they wrote in a 2014 paper for the National Bureau of Economic Research. Against this backdrop, President Donald Trump’s actions on the opioid crisis, which he had promised to end on the campaign trail, are very disappointing. Trump is expected to name Republican Rep. Tom Marino of Pennsylvania to head of the Office of National Drug Control Policy. Marino is a law-and-order hard-liner who once said nonviolent drug offenders should be locked up in a “hospital-slash-prison,” the Boston Globe reported. The previous head of the office, Michael Botticelli, was a recovered alcoholic, who advocated for treatment. “We can’t arrest and incarcerate our way out of this problem,” Botticelli said at a forum in Bangor in the fall of 2014. Beyond a change in approach, the Trump administration isn’t allocating money toward addiction. The White House budget plan pledges $500 million in funding to “expand opioid misuse prevention efforts and to increase access to treatment and recovery services to help Americans who are misusing opioids get the help they need.” This sounds great, but that money was already included in the 21st Century Cures Act, which Congress passed and former President Barack Obama signed last year. There is no additional money forthcoming from the Trump administration, which calls for reductions in funding for the National Institutes of Health, which could harm addiction research. Talking tough about drugs and addiction may sound good, but it is less effective than devoting resources to treatment. Leaders who truly want to tackle the drug abuse crisis will heed the research and invest in treatment because it makes the most sense from a human and financial standpoint.